Is It Possible to Reduce Poverty and CO2 Emissions Simultaneously? We are greatly concerned about both the unhealthy amount of CO2 in the atmosphere contributing to climate change and poverty in developing nations. As a global community, we are quickly approaching an environmental tipping point that already contributes to social and political problems throughout the world, and threatens the human species. Also, as a global community, we need to do all that we can to help eradicate extreme poverty in developing nations. China has had tremendous success reducing poverty from 1990 to 2015, but in the process they have become, by far, the world’s largest CO2 emitter. This article examines the “Poverty-CO2 Reductions Paradox,” wherein reducing poverty through economic growth simultaneously increases carbon dioxide (CO2) emissions from increased production and consumption, at a time in history when CO2 emissions must be reduced to avoid climate change catastrophes. Which is the lesser of two evils, people living in extreme poverty or catastrophic climate change impacts caused by increased CO2 emissions? How should the Poverty-CO2 Reductions Paradox be managed at the national and international levels? These are the questions our article explores. Key economic and environmental indicators tell a sad story. Economically, 1.0 billion people (14.5%) lived in extreme poverty in 2011, and India had Gross National Income per capita of only $1,610 in 2014. Environmentally, the 2001-2010 decade was the warmest on record, reflecting a 0.85°C (1.53°F) increase since 1880. Global CO2 emissions increased by 51% between 1990 and 2012, and CO2 atmospheric concentrations have increased from a steady level of 280 parts per million in the pre-industrial era to more than 400 ppm. Absent additional mitigations, preventative 2050 benchmarks will not be achieved. To put a human face on those impacted by this potential catastrophe, scholars and researchers need to look no further than the traditional undergraduate students we currently teach: they will be about 55 years old in 2050. How do we escape this dangerous quagmire? A well-established alternative norm continually raised by China is that of fairness. Fairness claims have shaped Kyoto Protocol’s development and evolution. During the 1990s, it was considered fair to hold developed nations accountable for reducing their CO2 emissions, and to allow developing nations to use a carbon intensity, rather than an emission reduction, metric. Kyoto’s inability to generate international agreements that adequately limit carbon emissions is also rooted in fairness claims. All claims of unfairness and injustice associated the Poverty-CO2 Reductions Paradox must be acknowledged and engaged, rather than ignored or discounted. Table 4 summarizes the major unfairness/injustice claims raised in this article. Addressing the injustices associated the Poverty-CO2 Reductions Paradox will entail international, regional, national, and sub-national regulatory engagement. At the international level, the UN and WTO must become even more involved without threatening national sovereignties. Individuals tend to resist, or very slowly accept, externally imposed procedural processes and outcomes. Fairness and transparency are particularly essential because people employed in high-carbon industries and ancillary businesses will have to change their livelihoods, and those living high-carbon lifestyles must make adjustments. Regulatory policymakers must acknowledge the Table 4 injustices, empathize with those impacted, and commit to seeking justice. This process involves extensive dialogue within and between nations, wherein experiences are expressed and heard. Historically, this has been difficult to achieve due to tendencies toward autocratic abuse of political power and perceiving opposing viewpoints as threatening. Private party rule-making can be helpful input, even if often prone to participant biases. The Kyoto Protocol, despite its defects, has fostered convergence between the EU and China’s environmental policies and processes. The challenge is resolving economic growth and environmental sustainability conflicts through win-win, integrative, and paradox approaches, rather than trade-off resolutions. Unfortunately, the behavioral outcomes to date are record high carbon emissions and temperatures. Incremental and drastic policy changes are required. 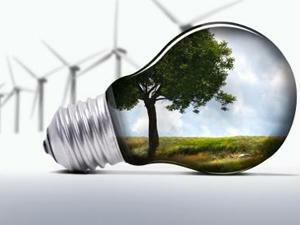 Future economic successes in developing and developed nations are dependent on reducing CO2 emissions. Leadership from many societal sectors, including higher education, is essential. The principle of fairness/justice is offered to guide efforts to resolve the paradox in a way that avoids irreversible climate changes projected to begin around 2050. Prominent stakeholder injustice claims are highlighted for future scholarship and policymaking considerations. Even if affordable clean technologies were available to achieve low-carbon economic growth, integrative and win-win resolution approaches need to be undertaken to determine linkages among economic and environmental injustices to generate long-term justice benefits. Similarly, these resolution approaches need to be pursued to generate short-term justice benefits, such as protecting the poor from climate change related damages. 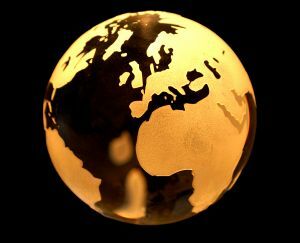 Business organizations have too often addressed the paradox between economic growth and the environment with a trade-off resolution approach strongly favoring economic growth to the detriment of the environment. More recently, some organizational leaders have been pursuing win-win opportunities. In the decades ahead, organizational leaders seeking competitive advantages will need to delve deeper into the tension points between profits and the environment, and develop integrative resolutions where their own economic growth and environmental performance are naturally balanced without favoring one over the other. Researchers must determine how to care for the needs of the poor in a way that does not threaten life on Earth for future generations. This article examines the “Poverty–CO2 (carbon dioxide) Reductions Paradox,” wherein reducing poverty through economic growth simultaneously increases CO2 emissions from increased production and consumption, at a time in history when CO2 emissions must be reduced to avoid climate change catastrophes. Paradox theory and integrative social contracts theory are applied to help understand the evolving behaviors of China, the world’s largest CO2 emitter, and the European Union, a CO2 reduction leader, from 1990 to 2015 at the national and international levels. The environmental results of these activities have become species-threatening. The principle of fairness/justice is offered in order to guide efforts to resolve the paradox in a way that avoids irreversible climate changes projected to begin around 2050. Prominent stakeholder injustice claims are highlighted for future scholarship and policymaking considerations. You can read “Managing the Poverty-CO2 Reductions Paradox: The Case of Chine and EU” from Organization & Environment free for the next two weeks by clicking here. 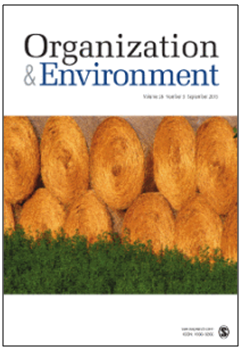 Want to know all about the latest research from Organization & Environment? Click here to sign up for e-alerts! Denis Collins (PhD, University of Pittsburgh) is a professor of management, Business School, Edgewood College, Madison, Wisconsin. His latest books—Business Ethics: How to Design and Manage Ethical Organizations (2012; John Wiley) and Essentials in Business Ethics: Creating an Organization of High Integrity and Superior Performance (2009; John Wiley)—provide practical “how-to” examples and best practices for improving an organization’s ethical performance. He has published many articles; conducted hundreds of business ethics workshops, talks, and consulting projects; and won several teaching and service awards. Chunfang Zheng (PhD, Renmin University of China) is a professor of economics, Business College, Beijing Union University, Beijing, China. She is Second Director of the Department of International Economy and Trade, and teaches courses in macroeconomics and international economics and trade. Her research interests include international economics and trade, border tax adjustments, and sustainable development. She has published several articles and monographs in these areas, including Applicability and Application of Strategic Trade Policy in China’s Industries (2012; Economic Science Press). The March Issue of World Future Studies is Now Online! This article explores the breadth of the futures studies field by creating a dialogue with some prominent approaches to climate change. The first half of the article takes an evolutionary perspective on the development of the futures studies field. I show how developments in the field parallel the broader epistemological shift from the centrality of positivism to a plurality of postpositivist approaches particularly in the social sciences. Second, I explore the current scientific research on climate change including issues related to mitigation, adaptation, and coevolution. Finally, I apply my futures typology that includes five paradigmatic approaches to undertake a dialogue between futures studies and climate change. Click here to access the table of contents for the March 2016 issue of World Future Review. Want to know about all the latest from World Future Review? Click here to sign up for e-alerts! Can We Be Happy in a Post-Apocalyptic World? 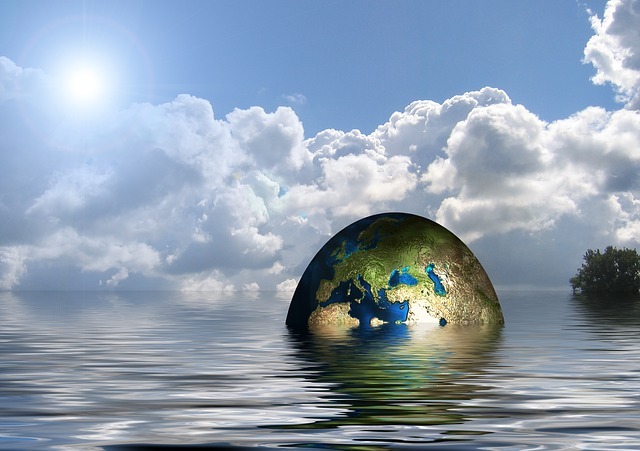 Scientists predict that in the years to come both temperatures and sea levels could rise, diminishing valuable resources and leaving civilization in a place of discomfort, both physically and economically. But, despite these distresses, could we actually be happy? Authors Gioietta Kuo and Lane Jennings think so and discuss this possibility in their article, “Achieving Happiness in a Sustainable World” from World Future Review. Modern science offers grounds for optimism concerning human comfort and well-being in the decades ahead. Yet, forces in nature and society still threaten to create conditions of worldwide physical and economic hardship unparalleled in recorded history. If, without despairing, we accept as a working hypothesis the likelihood that resource depletion and climate change will make deep and lasting changes in Earth’s geography and traditional social order, we can still find ways to keep alive the never-fully-realized aspirations that make life worth living. Drawing examples from human history and proposing novel attitudes and values, the authors argue that human beings can indeed survive and even manage to achieve lasting happiness in a future world of greatly diminished prospects and far fewer material comforts. Read “Achieving Happiness in a Sustainable World” from World Future Review for free by clicking here. Want to know about all the latest from World Future Review? Click here to sign up for e-alerts! Global warming and climate change have become hot-button issues in the past few decades. Many disagree on the long-term effects and what needs to be done to correct it, if anything at all. 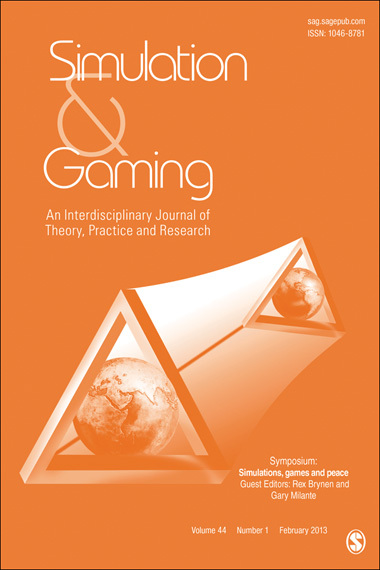 In their article published in Simulation and Gaming, “WORLD CLIMATE: A Role-Play Simulation of Climate Negotiations,” collaborators John Sterman, Travis Franck, Thomas Fiddaman, Andrew Jones, Stephanie McCauley, Philip Rice, Elizabeth Sawin, Lori Siegel and Juliette N. Rooney-Varga suggest that communication issues are to blame and offer up a unique solution in the form of online simulation and role playing programs. of proposed policies using a model consistent with the best available peer-reviewed science. WORLD CLIMATE has been used successfully with students, teachers, business executives, and political leaders around the world. Here, we describe protocols for the role-play and the resources available to run it, including C-ROADS and all needed materials, all freely available at climateinteractive.org. We also present evaluations of the impact of WORLD CLIMATE with diverse groups. Read “WORLD CLIMATE: A Role-Play Simulation of Climate Negotiations” in Simulation and Gaming for free by clicking here. Don’t miss out on other articles like this! Click here to sign up for e-alerts from Simulation and Gaming. Green innovation incorporates technological improvements that save energy, prevent pollution, or enable waste recycling and can include green product design and corporate environmental management. This type of innovation also contributes to business sustainability because it potentially has a positive effect on a firm’s financial, social, and environmental outcomes. However, the specific effect of green innovation on these outcomes can be highly influenced by the national context in which firms develop their activities. Using an institutional approach and employing a sample of 88 green innovative firms and 70 matched pairs (green innovative and non–green innovative firms), we find that green innovative firms are situated in contexts characterized by more stringent environmental regulations and higher environmental normative levels.Nevertheless, when compared to non–green innovative firms, we observe that green innovative firms do not experience improved financial performance. In focusing on green innovative firms, we note that the intensity of green innovation is positively related to firm profitability. Finally, we study whether national institutional conditions (stringency of environmental regulations and normative levels) impose a moderating effect on the relationship between green innovation intensi ty and the financial performance improvement of innovative firms. Our results show that regulatory and normative dimensions do not have the same influence on that relationship, creating implications for academia, managers, and policy makers. Read the full article here, free to Management INK readers for the next month. Don’t forget to sign up for e-alerts to receive the latest research from Organization & Environment. Continue reading the article online in World Future Review, and see the current issue of WFR here.